Works of monumental proportions, the symphonies of Gustav Mahler often combine the voice with the orchestra. With an uneasy but no less tragic irony, they reflect the soul of a tormented composer, constantly struggling with death. The romantic symphony was created by Beethoven. In Germany, the style was further developed by Schubert, Schumann, and Brahms, before reaching its apotheosis with Bruckner and Mahler. With 10 epic symphonies (11 if we include Das Lied von der Erde [The Song of the Earth]), the latter was undoubtedly one of the most prolific contributors to the genre. The Symphony no.1, "Titan", was inspired by Romantic German literature. On the day of its premiere in 1889 in Budapest, Mahler firstly presented the work as a "symphonic poem". The work was therefore akin to the genre of programmatic music, though Mahler refused any and all possible subtitles. The other symphonies appear to be divided into three groups: those early works that include the voice (the Symphonies no.2, no.3, and no.4), the purely instrumental works (Symphonies no.5, no.6, and no.7), and those that sing farewell and turn towards Death. Mahler passed away in 1911, leaving behind an unfinished Symphony no.10. Gustav Mahler's musical career could be reduced to two distinct genres: the orchestral Lied and the symphony. The composer was so obsessed by both genres that he continuously blurred the line between both. As early as his Symphony no.2, subtitled "Resurrection", Mahler used the voice (was this perhaps an homage to Beethoven's Symphony no.9?) The composer even introduced one of his own Lieder into the work, Urlicht (Primal Light), taken from Des Knaben Wunderhorn (The Boy's Miraculous Horn). Though the voice is used sparingly in the next two symphonies, it is however strongly present throughout Mahler's Symphony no.8. "This is not a symphony with soloists and a choir, but rather a symphony for soloists, choir, and orchestra", explains French musicologist Marc Vignal. Furthermore, though the voice disappears entirely from the Symphony no.9, the fact remains that the "union" of the voice and the orchestra continues nonetheless, but "using only the instruments". The most emblematic example of a meeting between the Lied and the symphony is undoubtedly Das Lied von der Erde (The Song of the Earth). Its subtitle, "Symphony for tenor and alto (or baritone) and orchestra", leaves little doubt as to its form. However, out of superstition, Mahler refused to number his work: since Beethoven, no major German composer had ever gone beyond nine symphonies! Melancholic, tragic, surrounded by the idea of death… Mahler's symphonies are far from being light and serene! Two of the works open with a funeral march. The Totenfeier (Funeral Rites), initially conceived as an independent work, was finally added to the first movement of the Symphony no.2. The Symphony no.5 also begins with a march whose sinister accents echo the third movement of the Symphony no.1, a parody of the song "Bruder Martin" (Frère Jacques). The year 1907 was a profoundly sad one for Mahler, and one not without influence upon his work. Following the sudden death of Putzi, his darling daughter, he was diagnosed with an incurable illness of the heart. Though the idea of farewell is particularly strong throughout his final works, the idea is no less present throughout his earlier symphonies, explains French composer and musicologist Michel Chion. The notion of fate is on occasion contained within the first few notes, as can be seen in the Symphony no.6, subtitled the "Tragic". From its opening and closing in a minor, it signifies the defeat of the hero, most certainly figuratively and literally, a projection of Mahler's own mental state. "It is the grand and awesome tombstone of classical tonality, its forms, its thematic work and of 19th-century Romanticism", explains Marc Vignal. The composer certainly did not hold back whilst composing his Symphony no.8 (in only two months!). The day of its premiere, almost one thousand performers were required on stage. One particularly impressed impresario baptised the work "The Symphony of a Thousand", a nickname that stuck. Each work is a world within itself. As Mahler himself stated, "A symphony must be like the world. It must contain everything". For the composer, the symphonic genre implied the idea of totality. Somewhat stifled by his position as Musical Director at the Vienna Opera, Mahler found it difficult to compose during the operatic season. He therefore made the most of the summer holidays. In order to be able to write in the best possible conditions, the composer built himself in 1894 a Komponierthäuschen, in other words... a composer's hut! Comfortably facing the lake and the mountains of Steinbach-am-Attersee, Mahler was finally able to put the notes onto the staves of his scores. Between walks, he completed his Symphony no.2. The following summers came No.3, then No.4. 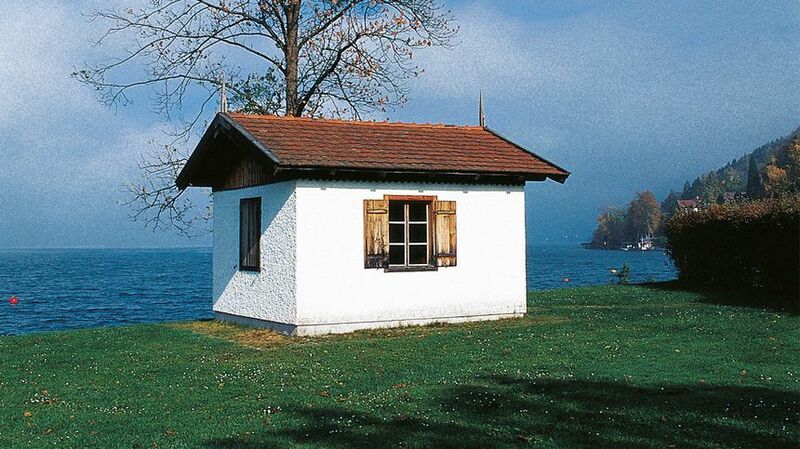 In 1901 came a new composer's hut, this time by the Lake Wörthersee. Here, three other symphonies eventually saw the light of day. 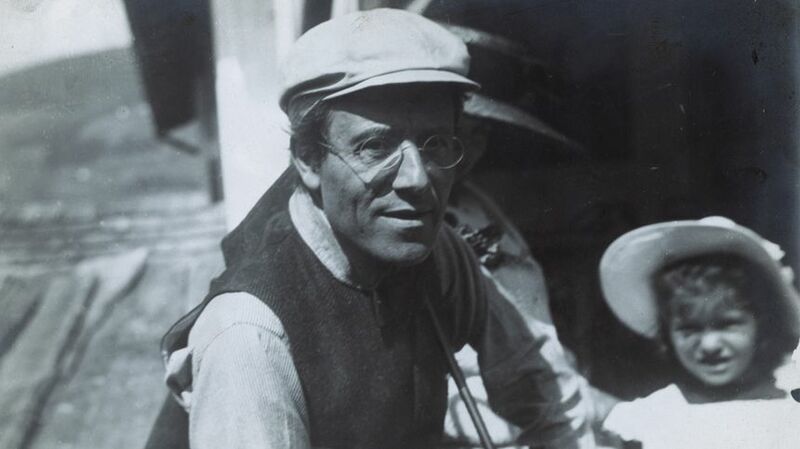 Following the painful events of 1907, Mahler set sail for the United States. Upon his return, he moved to Toblach, facing the Dolomites mountain range, where a third hut was built. It was here that Mahler composed Das Lied von der Erde (The Song of the Earth). It is therefore not a coincidence if nature is so prevalent throughout Mahler's music, in particular the Symphony no.3. Mahler even declared to his disciple Bruno Walter, upon his visit to Steinbach in 1896, "don't bother looking at the view, I have already composed it." The composer also enjoyed playing with the symphonic traditions, "loosening" its somewhat stuffy image. Often, a sarcastic laugh can be heard piercing the orchestral mass, hinting at elements borrowed from popular music such as clanging bells, military fanfares, and brasserie or cabaret music... Humour also finds its way through the various gypsy influences found for example in the third movement of the Symphony no.1. Unsurprisingly, Mahler's public lost no time in blaming Mahler for his unwelcome strays into the genres of popular music. Daring to degrade the noble genre of the symphony, what an affront! On the contrary, the musicologist Michel Chion sees a "real aesthetic "collage" of the everyday onto the noble, the grotesque or the familiar onto the sublime". However, laughter is never far from tragedy, and ultimately, Mahler can be described best as "the one who contemplated from afar the agitation of the human puppets", embodying the point of view of an "outcast distanced from popular happiness".